Chocolate Cherry Avocado Mousse with Coconut Whipped Cream – Happy Valentines Day! When I think of Valentine’s Day, I think of chocolate, cherries and kale. Yes, kale is always on my mind! This year, I am celebrating this special day with my loved ones and 2 desserts. 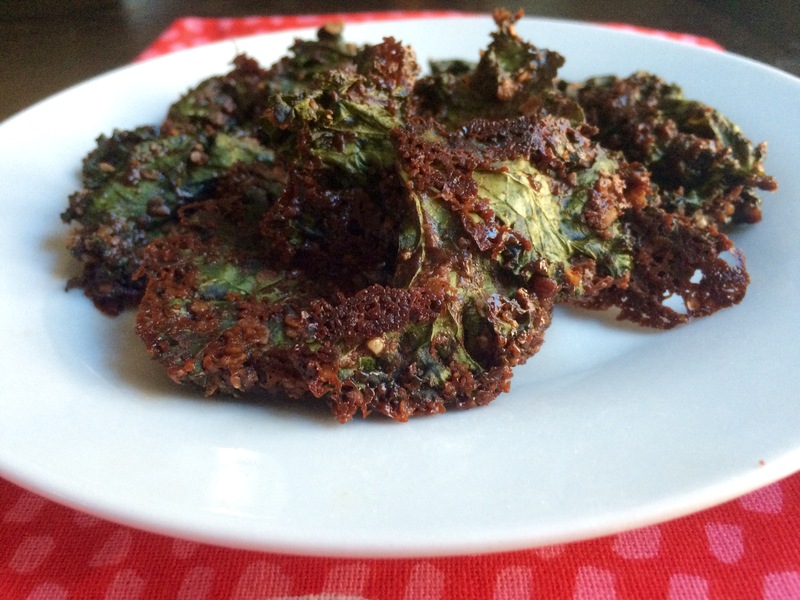 First, I prepared Jason Wrobel’s chocolate covered kale chips. The second dessert I made was a simple and delicious Chocolate Cherry Avocado Mousse with Coconut Whipped Cream. Put all the ingredients in a food processor ( except for the coconut milk). Pulse until creamy. Remove from blender and transfer to a bowl. Place a can of coconut milk in the refrigerator overnight. Scoop out the solid coconut cream and whip. Optional: Add vanilla extract and cinnamon. 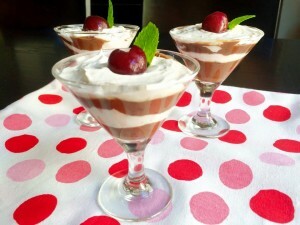 In small dessert glasses, place layers of chocolate cherry mousse and coconut whipped cream. Scoop out the solid coconut cream, transfer to a bowl and whip. Optional: Add vanilla extract and cinnamon. This entry was posted in Desserts, Recipes. Bookmark the permalink.